Security controlled access to recessed sliding doors. The property presents a unique opportunity to occupy prestigious new offices within the prime core of Manchester City Centre. 60 Fountain Street has undergone a complete transformation, and with the benefit of a comprehensive refurbishment the building now offers fully air-conditioned suites from 2,670 - 3,602 sq ft, accessed through the stunning reception area and brand new common parts. Fountain Street has always been at the heart of Manchester’s Traditional Office Core. With the completion of new Grade A office developments at 1 St Peter’s Square and the commencement of 2 St Peter’s Square, the appeal of this location is further strengthened. New Metrolink stops and public realm improvements to St Peter’s Square reinforce the understandable appeal of this area as Manchester’s primary business address. 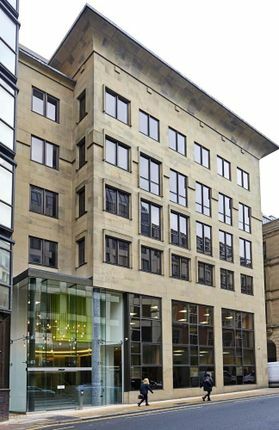 Furthermore, 60 Fountain Street is also within walking distance of Piccadilly Gardens and Oxford Road Station allowing potential occupiers easy access to all of Manchester’s Public Transport Network.